An organization of military parents dedicated to the support and encouragement of military personnel and their families. 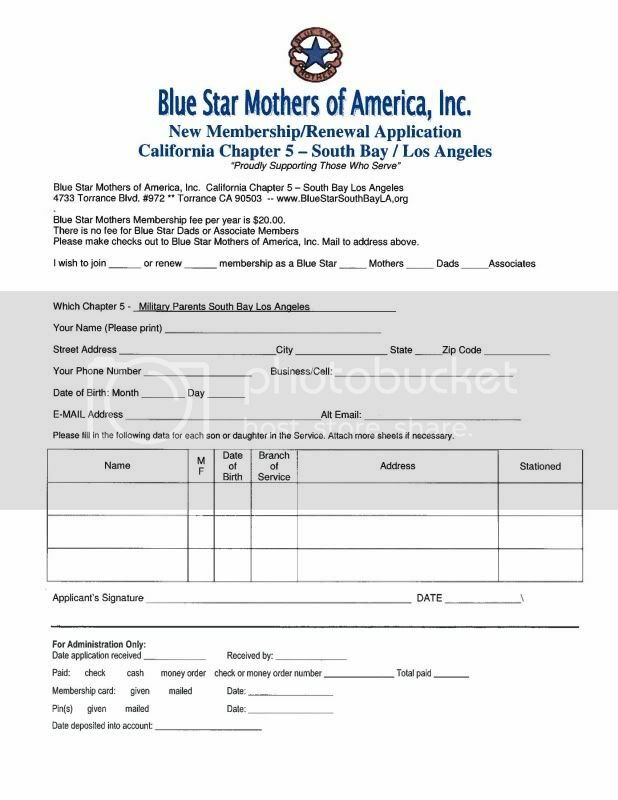 BlueStarSouthBayLA.org (Blue Star Mothers, Chapter 5) is a 501(c) 3 organization as described by the Internal Revenue Service. Donations are tax deductible. Please Contact Us for details.